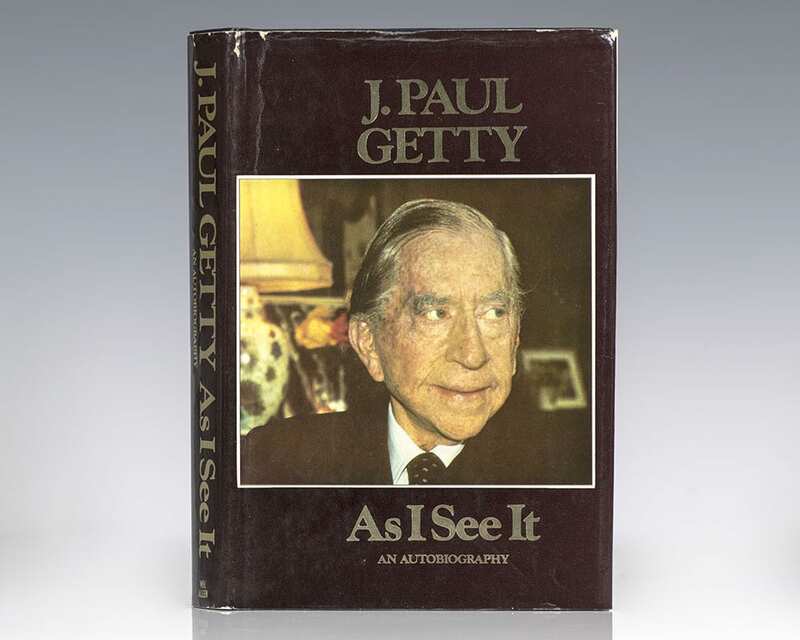 As I See It: The Autobiography of J. Paul Getty. First edition of the autobiography of J.Paul Getty. Octavo, original cloth, illustrated. Near fine in a near fine dust jacket. Jacket design by Nick Thirkell. Known largely for his fabled wealth, J. Paul Getty was highly educated, competent in six languages, a world traveller, and a committed collector of art. Getty describes how he amassed his staggering fortune, discusses the prospects of democracy, lists the seven key points success-oriented men should know about women, and recounts undergraduate conversations at Oxford with his good friend "David", the future King Edward of England. The cast of characters who populate his intimate anecdotes reads like a "Who's Who" of the 20th century: Winston Churchill, Clara Bow, Nelson Rockefeller, Bernard Berenson, Bela Lugosi, Jacqueline Onassis, Richard Nixon, Franklin D. Roosevelt, Charlie Chaplin, and hundreds more. J. Paul Getty Signed Photograph. Original black and white photograph of J. Paul Getty in front of his Sutton Place mansion in Surrey. Signed by Getty in the upper left corner of the photograph, “J P Getty.” Double matted and framed. In fine condition. 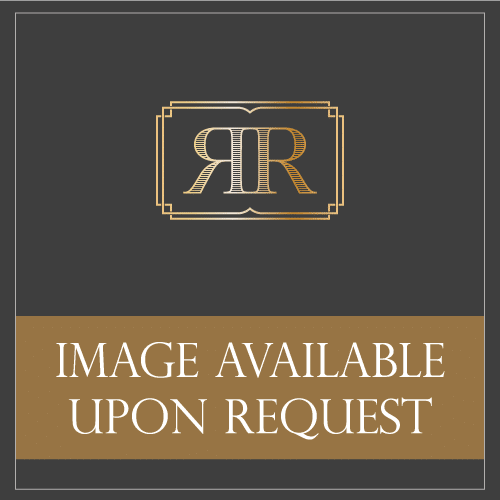 The photograph measures 6 inches by 4.25 inches. The entire piece measures 12.75 inches by 11.5 inches.